File Recovery from 600MB Optical disks as the client no longer have the drive - mac formatted. 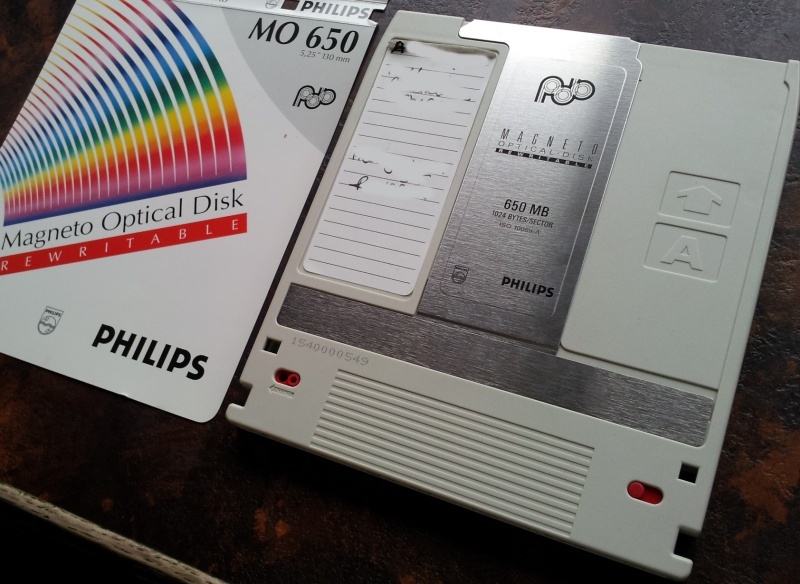 The disks were Philips Magneto Optical Disk Rewritable PDO 512 Bytes/Sector MO 650 5.25 inch 130mm. They were HFS formatted so a disk image was made .dmg file which could be mounted on a modern Mac desktop. We exported the Freehand 5 files from the old Apple Mac to Adobe Illustrator, or TIF, PDF JPEG. The customer said ... I had a great experience. The files in question were returned swiftly fixed. Would certainly use them again and recommend to colleagues and friends. If you need a Recovering corrupt Freehand Files from MO disk for an Apple Mac service, then contact our friendly company. File Recovery from 600MB Optical disks as the client no longer have the drive - mac formatted. The disks were Philips Magneto Optical Disk Rewritable PDO 512 Bytes/Sector MO 650 5.25 inch 130mm. They were HFS formatted so a disk image was made .dmg file which could be mounted on a modern Mac desktop. We exported the Freehand 5 files from the old Apple Mac to Adobe Illustrator, or TIF, PDF JPEG. The customer said ... I had a great experience. The files in question were returned swiftly fixed. Would certainly use them again and recommend to colleagues and friends. .